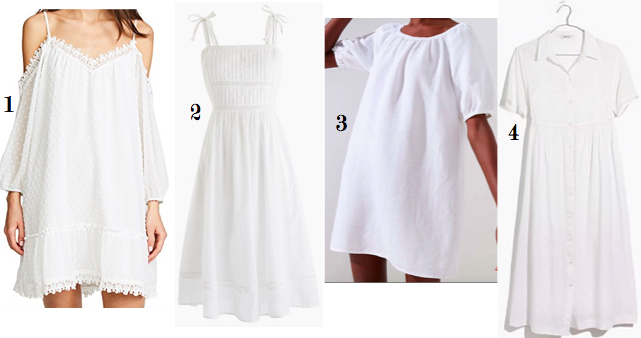 There is something so incredibly chic about a little white dress. They have an ease and always look expensive, even if they are not. And as one who tends to be a spiller (and tripper, and scuffer) they can scare me. But, that is what spot cleaner and dry cleaners are for, right? 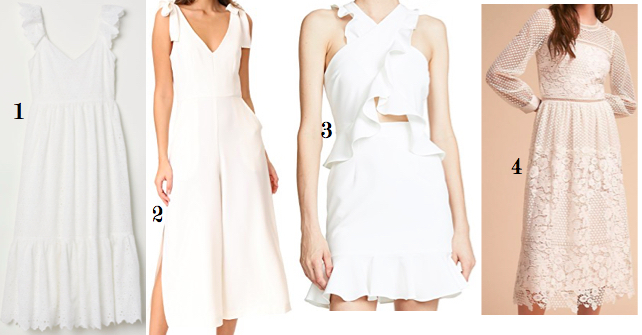 I pulled some of the prettiest shapes and fabrics of the season and for every occasion (even the beach) except weddings. That is still an absolute no-no.